Hiroh Kikai's major solo show is traveling from the Tokyo Metropolitan Museum of Photography to Yamagata Museum of Art, opening in December. 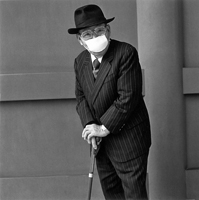 The exhibition features 180 of Kikai's photographs from the past 40 years, the majority of which are from the artist's acclaimed series Asakusa Portraits. 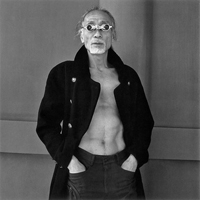 Hiroh Kikai's work A performer of butoh dance, from the Persona/Asakusa Portrait series, has been acquired by the Mead Art Museum at Amherst College, Amherst, MA. 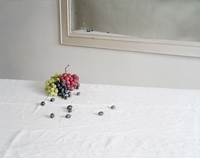 The artist's work is in the collection of the Houston Museum of Fine Art, Philadelphia Museum of Art, International Center of Photography, and Tokyo Metropolitan Museum of Photography, among others. Both Laura Letinsky and Hiroh Kikai were nominated for the 2009 Deutsche Borse Prize, awarded to UK-born photographer Paul Graham. The Prize aims to reward a living photographer who has made the most significant contribution to the medium of photography in Europe over the past year. Gallery artist Esko Mannikko was the 2008 Deutsche Borse recipient.